Close to the “Ciudad Vieja”, the city’s charming and fascinating old town, your classes will be set in surroundings that will help you put the cultural aspects of the city into historic perspective. The school is also close to the beach, which means that after class you can go take a dip in the Caribbean. The school building is fully equipped with modern comforts including internet, a cafeteria… even a garden that is the perfect place for taking a break or studying between classes. 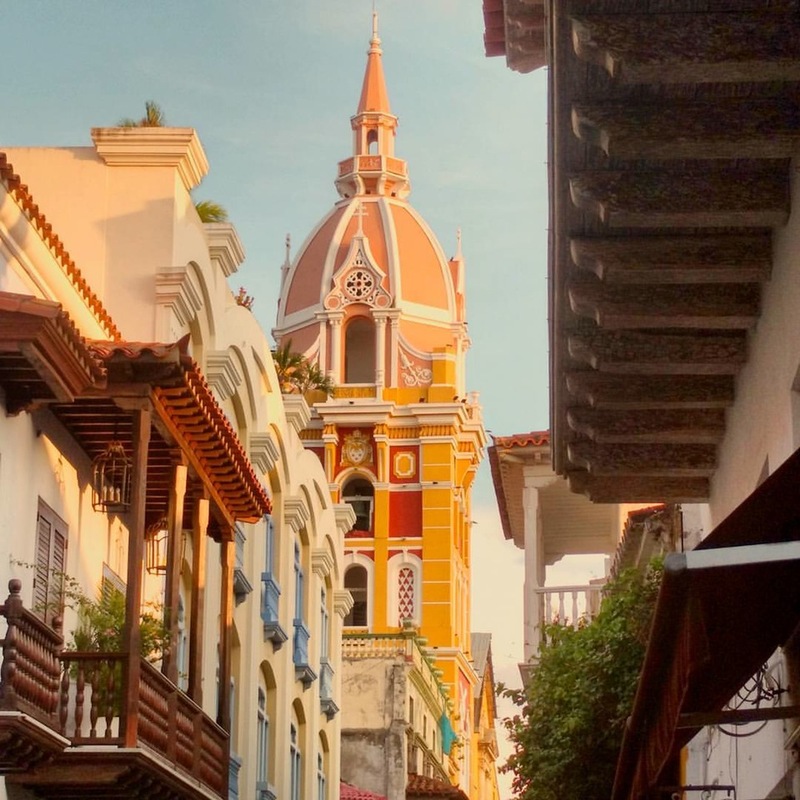 In a beautiful city like Cartagena, we couldn’t help but choose a unique location for our school in an area that allows us to offer you quality service. This is an ideal place for you to quickly advance in your Spanish studies while immersed in Spanish-speaking culture. Design the best curriculum for your needs and desires. If you want to optimize your study time and enjoy a fully personalized method of teaching, this course is the best option. The minimum duration is one 55-minute class per week and you can decide the schedule and content of the program. Within a short period of time, you will begin to learn Spanish through an individualized course of study in grammar, speaking, listening, reading, writing and vocabulary. It is also possible to introduce a particular topic or interest, provided that we have adequate notice before the class’s starting date. work. You will be taught by a highly qualifi ed native speaker with specifi c knowledge in your fi eld of expertise. Our objective is to provide a tailor-made course that will simultaneously equip you with cultural skills suitable for each particular vocation. Whatever your job —businessman, doctor, lawyer, biologist, etc.— we can match you with a teacher specialized in your fi eld. Classes outside the school can be arranged. Our host families vary from young families to one or two retired people, all Spanish speakers and are carefully selected to ensure that your stay be as pleasant as possible. We do our best to find home stays that will treat you as part of the family. We will always try to accommodate you within 20-30 minutes - on foot or via public transportation - from the Enforex school, even in big cities like Madrid and Barcelona. You may choose between a single or double room as well as no meals, half board (breakfast & dinner) or full board (all meals). If you have any allergies, special dietary requirements, dislike of particular pets or any other special requests, just let us know in advance and we'll do our best to satisfy your needs. Price includes: Wi-fi , Bed linens, blankets, laundry once per week & meals (90% of our host families offer packed lunches rather than lunch at home).